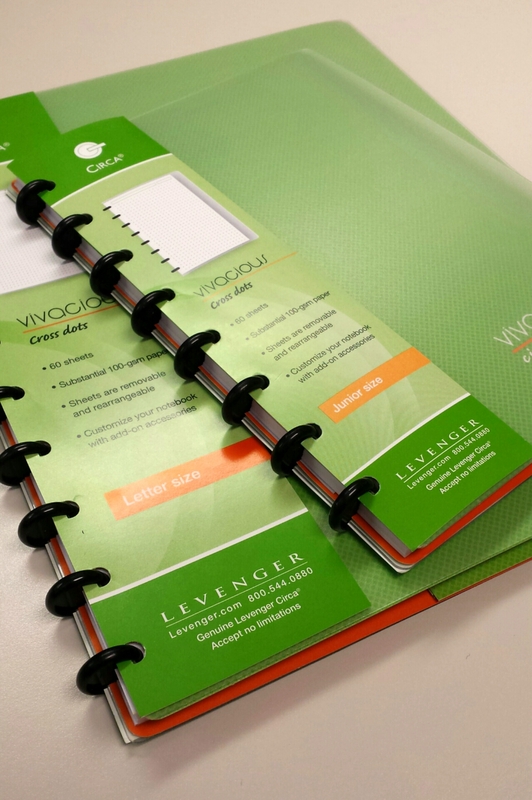 I am a huge fan of Levenger’s Circa notebooks, but not necessarily their refill paper. The standard annotation ruled refills are not known for being fountain pen friendly, and in the past have often had significant feathering and showthrough. It got to the point where I started making my own refills, not only because of the price savings but also because I could ensure the paper quality was better. I’ve heard its changed for the better since then, but I’m still working on some old refills so haven’t tried anything newer yet. Levenger did come out with some Rhodia paper (in both Circa notebooks and refill sets), which made fountain pen users super happy, as Rhodia has been the gold-standard in quality paper. It’s amazingly smooth paper, silky soft and perfect for all inks. My own issue was that the ruled lines were a dark purple, which I personally find distracting, so I gave away the rest of my refills. 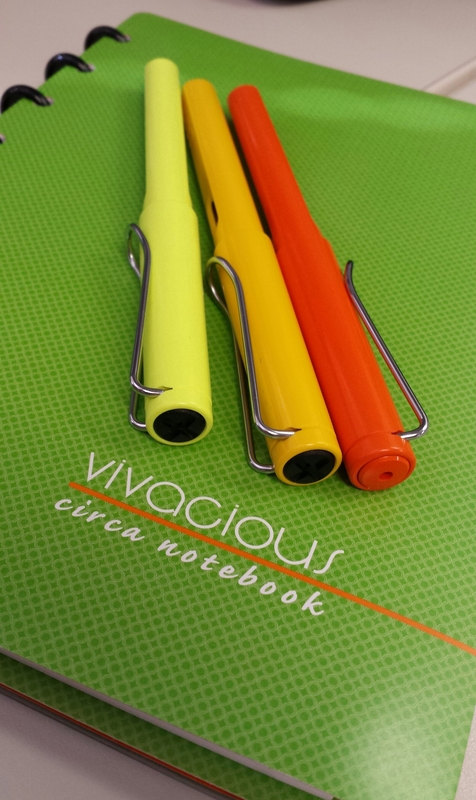 Recently though I’ve been hearing good things about the Circa Vivacious “CrossDots” notebooks and refill paper, how it was an amazing cross-dot pattern and super fountain pen friendly at 100 gsm. Sadly I think it’s been discontinued, as its been listed in the Levenger Outlet page for awhile now and supplies seem to be dwindling. 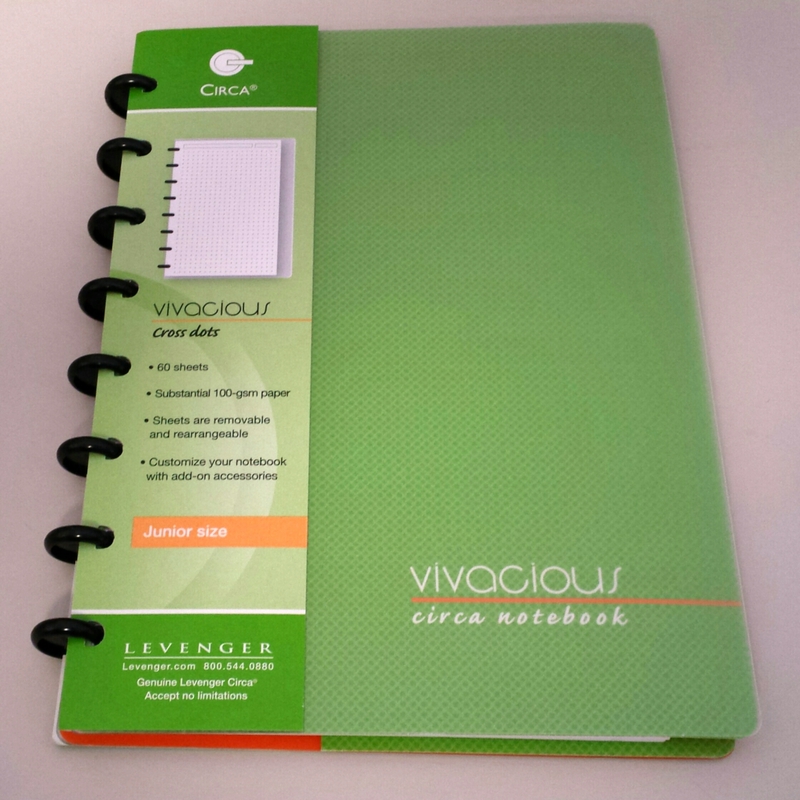 It’s also available on Amazon, in Letter and Junior size notebooks. So after getting a 20% off and free shipping coupon for Levenger recently, the price of the CrossDots notebooks was too good to pass up, I had to check them out. I ordered a couple of Junior size notebooks. 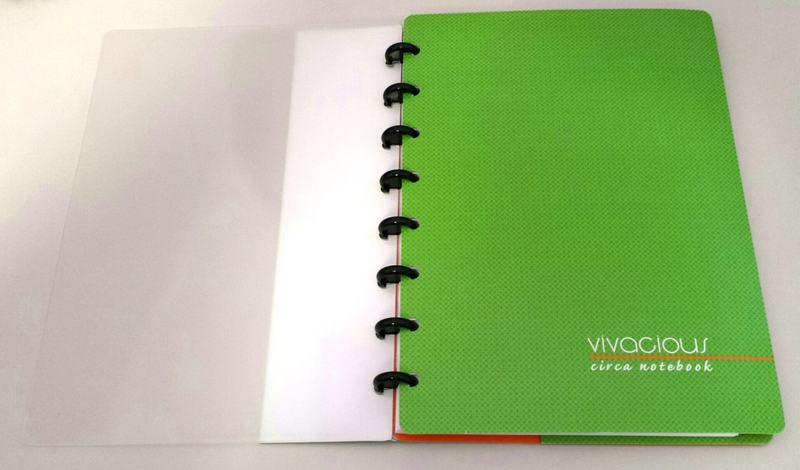 First impressions: what fun colors these notebooks come in!! 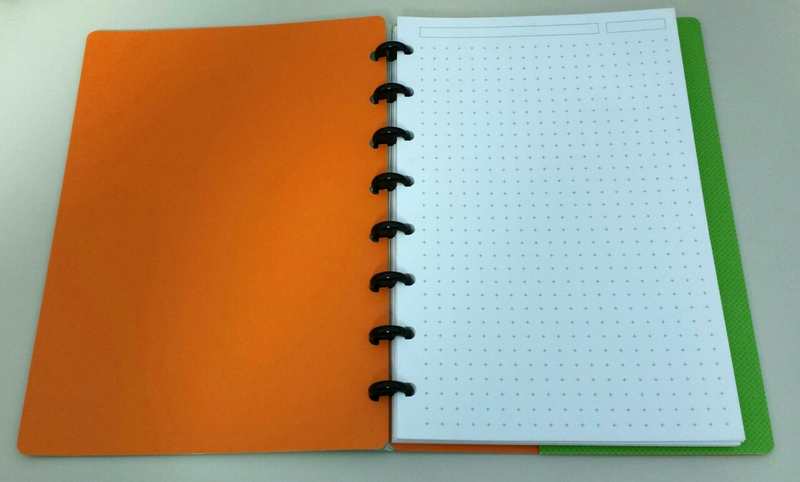 There are ruled (orange cover), grid/ruled combo (blue cover), and crossdots (green cover) versions. 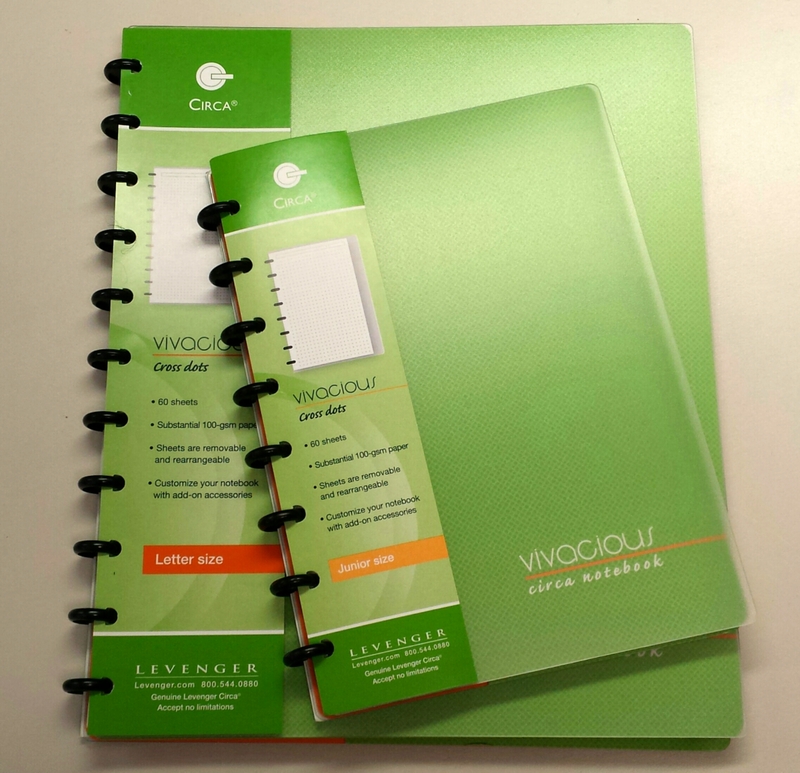 What isn’t immediately obvious is that the covers of the notebook are clear plastic, with lime green coversheets in a thick cardstock behind them. 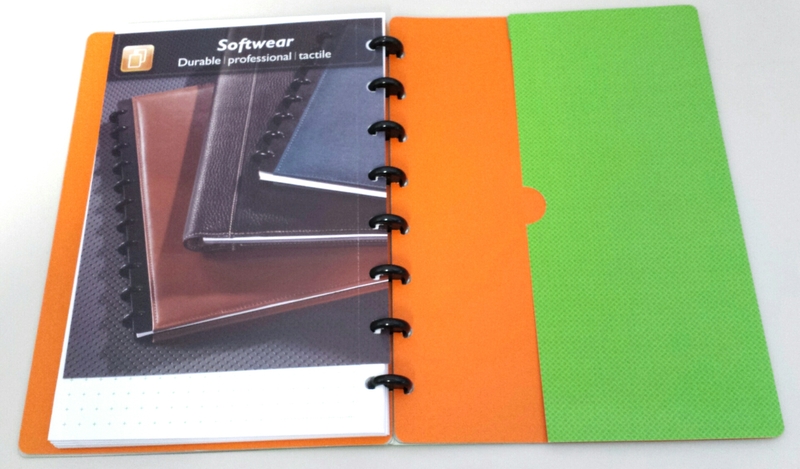 The inside of the green coversheets are a brilliant orange. The back cover has a built-in pocket. It’s a nice feature, but a little too loose for the little things I threw in it as a test – they fell out pretty easily. And the paper! No bleeding, feathering, showthrough, anything. It’s perfect with every pen i threw at it. 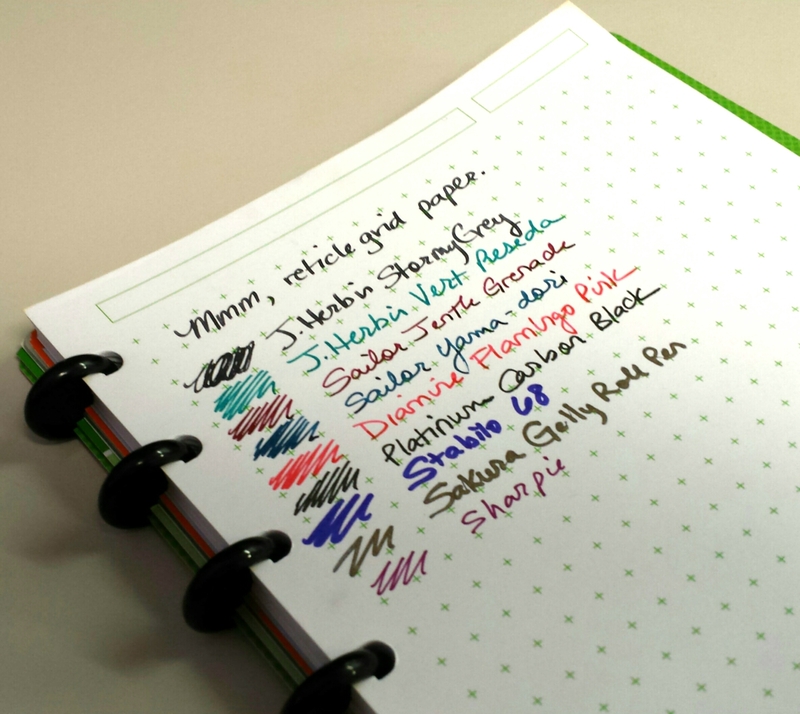 I was also worried that the green crossdots pattern would be distracting, ala the Rhodia refill. But it is actually a refreshing pop of color – I’m really surprised how much I like it. 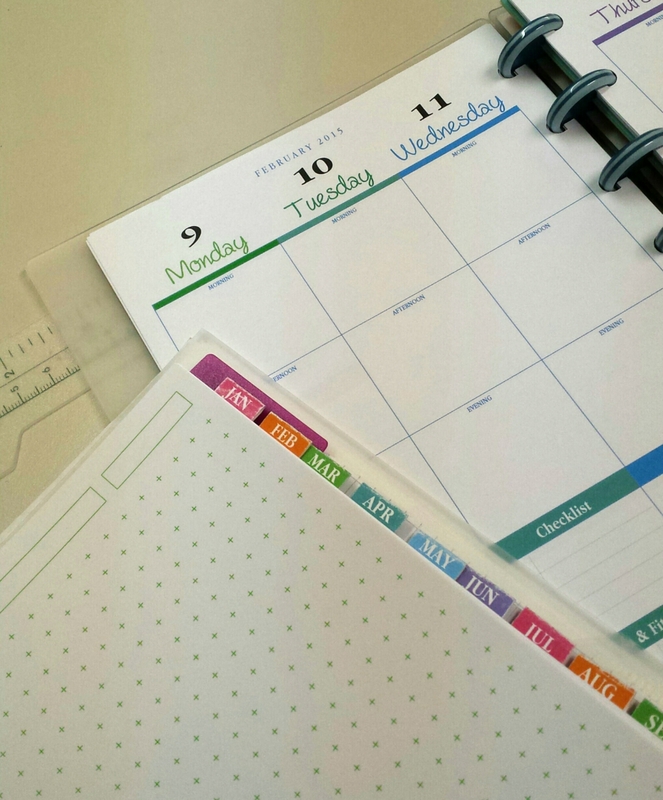 And the green crossdots match my Pretty Pretty Planner pages perfectly!! It was meant to be. I then realized as soon as I got the Junior size notebooks what a good thing I’d found, and immediately ordered another couple in Letter size while the getting was still good. That way I can enjoy the paper in both my Junior planner and Letter size work notebooks. And these colors remind me of summer!! I’m so ready to leave winter behind!